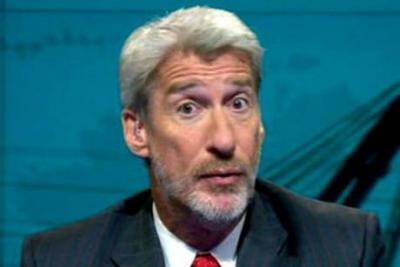 With this question in mind, I was amused to see the buzz on Twitter about Newsnight’s Jeremy Paxman as discussion of his new beard was trending – it even has a handle at @PaxmanBeard. As the title of an article in The Independentput it: ‘What’s All the Fuzz About, Then?’. * Instead of just commenting to your family about whether they noticed the beard, many viewers are tweeting to the world. I find this every bit as refreshing as hearing of families gathering around the TV set. Now they are actively interacting with a larger community of viewers. Of course we have seen this on many occasions, and sometimes in relation to more serious issues, as when viewers tweeted their reactions to the televised debates in 2010. This is good news, in my opinion, as it engages audiences, builds a larger sense of community, and adds to the mix of views on programming, not to mention keeping television at the centre of attention. But the Jeremy Paxman tweets also illustrate how a balance needs to be struck. I imagine the press, and Twitter users, felt that this news anchor could handle a bit of fun and humour about his new beard. I can imagine him being amused by the tweets. When a tweet goes wrong, criticizing the wrong person, at the wrong time, in an inappropriate way – which is as inevitable as hearing a bad joke – then it is really important to maintain a sense of proportionality. It is an extension of conversation in the living room and hardly sees the light of day unless the we make an issue of an inappropriate tweet. This is a really new medium and we are just learning the right norms and etiquette. While we must expect mistakes, the idea of enabling viewers to share their viewing experience must be a overwhelmingly positive development.